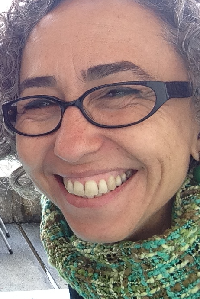 Márcia Chuva is Associate Professor of History at the Federal University of the State of Rio de Janeiro (UNIRIO), on Departament of History and Post Graduate Program in History and Visiting Professor at the Professional Masters in Cultural Heritage at the National Institute of Cultural Heritage – IPHAN. Márcia has been Postdoctoral fellow at the University of Coimbra (Capes scholarship, 2014-2015). She carries out critical studies in historical perspective on heritagezation policies in Brazil and Unesco World Heritage, as well as policies of musealization of African collections constituted in colonial situations. The guiding thread of the reflections lies in the memory struggles in the construction of identities and heritages, in the political perspective of decolonization and reparations. From 2018 onwards she coordinates the UNIRIO team in the H-2020 project “European Colonial Heritage Modalities in Entangled Cities” (ECHOES), integrated to the CES UC, under the general coordination of Paulo Peixoto and Lorena Querol.